Have you ever heard of allantoin? Or found it on the ingredients list of a skin care product? Not really? Well, it’s not your fault. Allantoin has never gotten the spotlight it deserves. If you are wondering why we are suddenly discussing this lesser-known ingredient, it’s because it has amazing skin benefits! If you have sensitive or dehydrated skin, you are going to love this ingredient. So, without further ado, let’s check out what exactly allantoin does to your skin. Allantoin is a chemical ingredient that is often used to treat dry, rough, and itchy skin. It acts as an emollient that keeps your skin moisturized and prevents dryness and irritation. Allantoin also occurs naturally. Comfrey, a shrub that grows in some parts of Asia, North America, and Europe is a reservoir of allantoin. 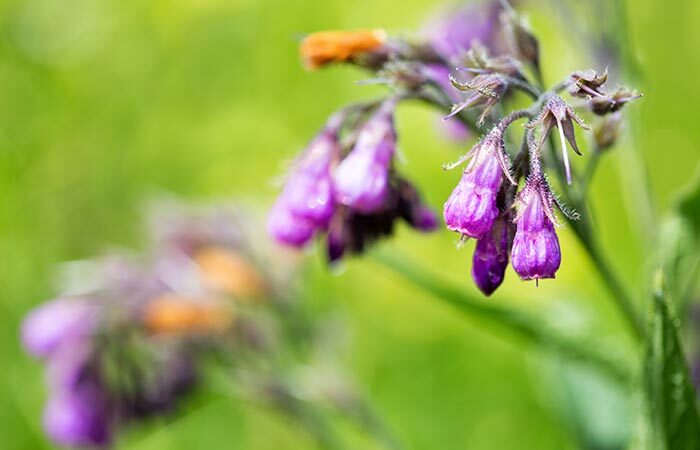 The roots of comfrey contain allantoin and are often used to prepare ointments, creams, and lotions. However, one problem with this plant is that it contains toxins. 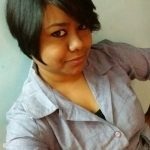 So, you may experience some serious side effects if you use it in its natural form. Lucky for us, its extracts are refined and processed in labs. These extracts are toxin-free and can be used in cosmetic and skin care products (1). Allantoin is also found in sugar beets, chamomile, and wheat sprouts, but not as abundantly as in comfrey. The allantoin developed in laboratories is just as potent as its naturally-occurring counterpart, and it can help your skin in many ways. Allantoin helps heal wounds, skin injuries, and scars faster. It stimulates the fibroblasts (cells responsible for producing collagen) and boosts extracellular matrix synthesis. This helps to re-establish normal skin on the wound site, making it less visible (2), (3). A study shows that topical application of allantoin, along with other ingredients, improves skin texture and drastically reduces the appearance of wrinkles and fine lines (4). It also facilitates collagen synthesis, which gives your skin a youthful appearance. 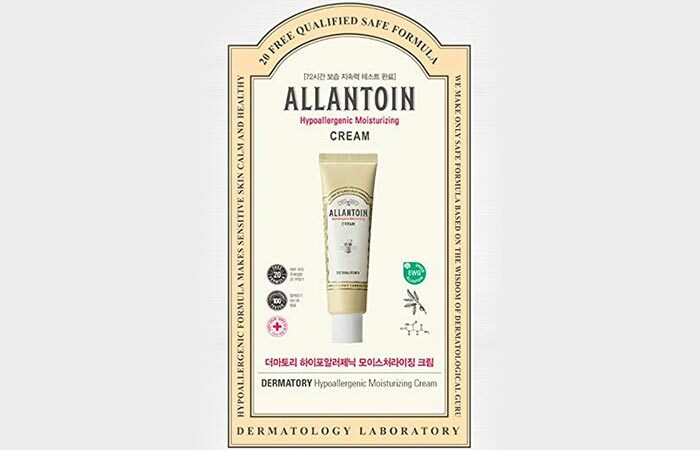 Allantoin keeps your skin hydrated by preventing transepidermal water loss (4). If you have dry and flaky skin, allantoin can help it retain more water and keep it moisturized (5). This makes your skin softer and smoother. Allantoin is a keratolytic agent (5). This means it helps in exfoliating skin cells and treating conditions where your epidermis produces excess skin (such as lesions and warts). The FDA-approved topical application of allantoin at 0.5% to 2.0% concentration is considered safe (1). However, there is still scope for a few potential side effects. If you use any skin product with allantoin and experience any of these side effects, stop using it immediately and consult a doctor. Want to try out allantoin on your skin? Check out the list of the best allantoin-based skin care products available on the market. 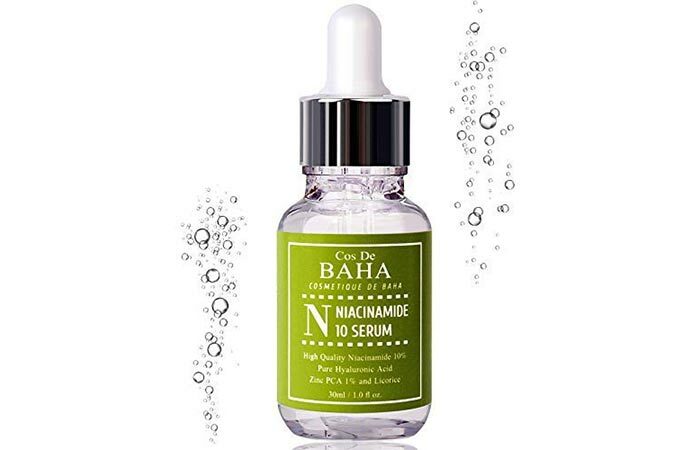 This serum contains vitamin B3, hyaluronic acid, niacinamide, and allantoin. It visibly reduces the appearance of wrinkles and protects your skin from the harmful free radicals. It also keeps your skin hydrated and prevents irritation. This cream is specially meant for sensitive skin. It has a creamy texture, and it provides intense hydration to your skin. It prevents irritation and redness and soothes your skin. It is also hypoallergenic. 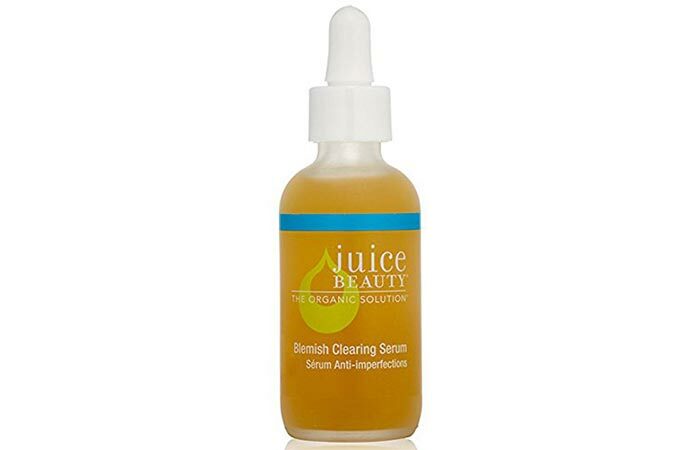 This serum helps reduce acne breakouts, evens out your skin tone, and keeps your skin healthy. It fights the damage caused by free radicals and renews your skin cells. 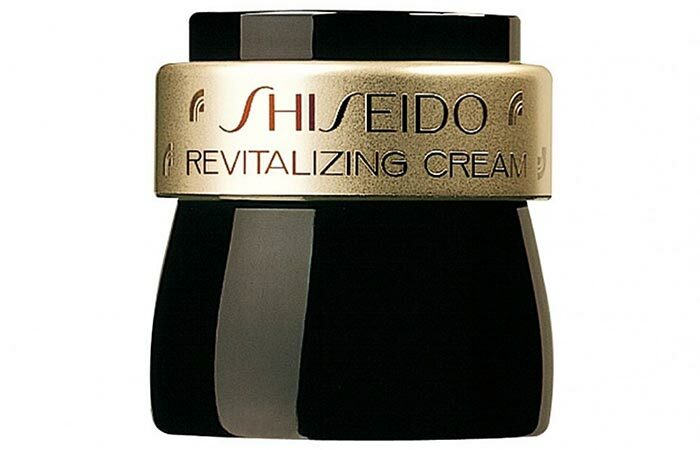 This revitalizing cream pampers your skin and improves its texture. It keeps your skin soft and smooth and reduces the appearance of fine lines. It contains allantoin that reduces dryness and vitamin E that protects your skin from the signs of premature aging. If you have sensitive skin that gets irritated and turns red easily, allantoin can calm it down. If you haven’t yet included it in your skin care regimen, it’s time you did. However, don’t forget to ensure that you are not allergic to it. If you have any more questions about this ingredient, post them in the comments section below, and we will get back to you. “Final report of the safety assessment of allantoin..” International Journal of Toxicology, US National Library of Medicine. “Profile of wound healing process induced by allantoin” Acta Cirurgica Brasilieira, SciELO. “An Investigation into Multifaceted Mechanisms of Action..” Archives of Dermatological Research. “Efficacy and Safety of an Anti-aging Technology..”, The Journal of Clinical Aesthetic, US National Library of Medicines.